After a week away from my garden, I found some glossy, purple beauties peeking through the leaves in my vegetable patch. My slim ladyfinger eggplants whispered, “pick us”. 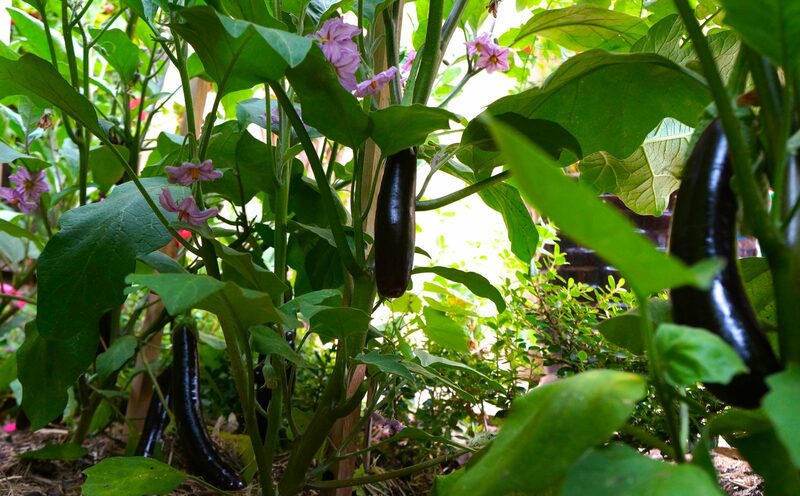 Eggplant is such an modest name — the Italian melanzana, and the french aubergine, roll off the tongue easily and seem more fitting names for these beautiful purple fruits. Yes, even though it is treated as a vegetable, it’s a fruit because it bears seeds within the flesh – much like the the tomato, which is from the same botanical family. 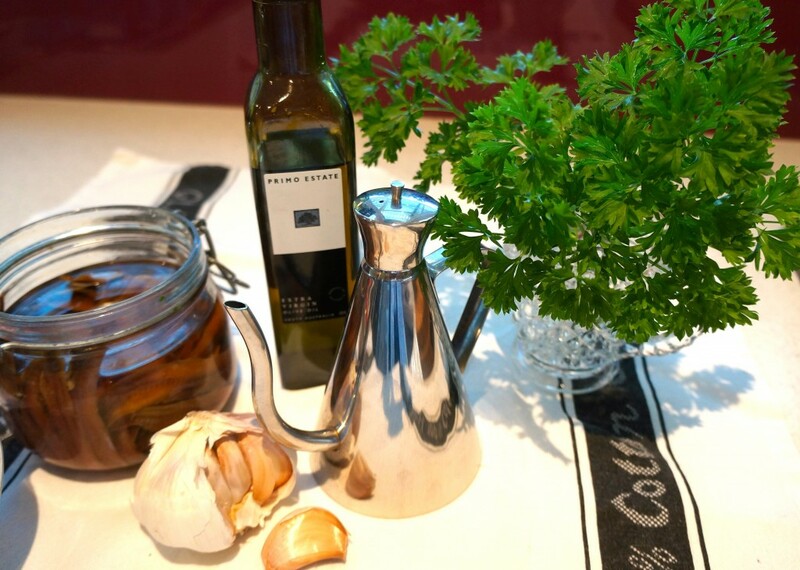 Introduced to Italy by the Arabs, they were initially grown as ornamentals and were avoided in the kitchen. Hard to believe, as the Italians have perfected the art of cooking melanzane in a variety of different ways — Melanzana alla parmigiana (Eggplant parmesan) is one of the most popular and Melanzane ripiene (stuffed eggplant) is also delicious. As I only had three mature fruits, they weren’t enough for these classic Italian dishes, but they were the perfect quantity to marinate and include on my antipasto platter. 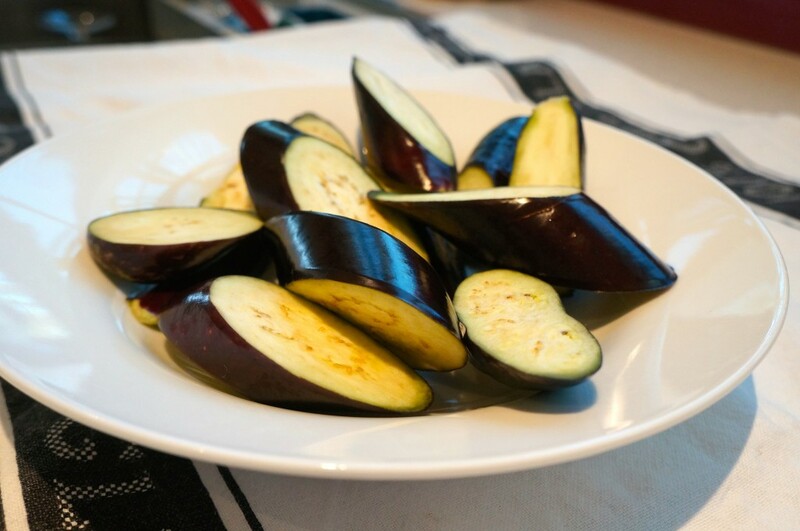 Cut the eggplant into thick diagonal slices. Put in a colander, sprinkle with salt and leave to stand over a bowl for 30 minutes. (I omitted this as my ladyfingers aren’t bitter). Rinse under cold water and pat dry. Heat a little oil in a frying pan and brown the eggplant in batches. Transfer to a bowl, toss with the dressing and parsley and marinate for 4 hours. Serve at room temperature. 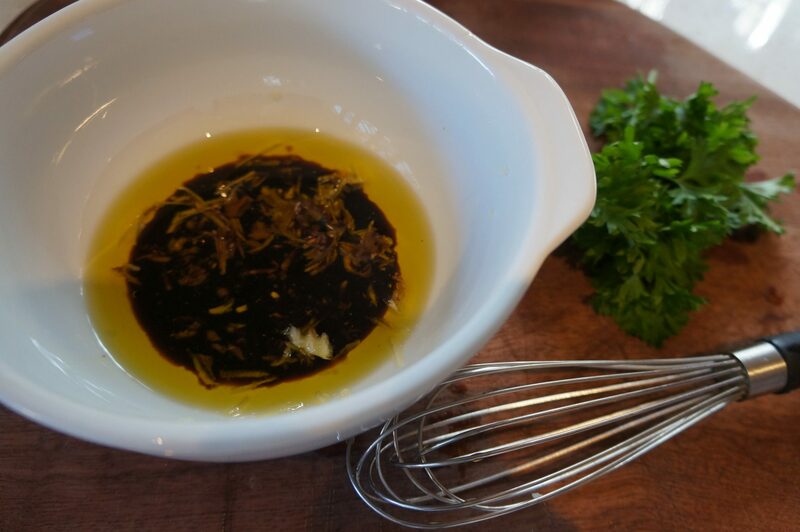 Whisk the oil, vinegar and anchovy until smooth. Season to taste. My final result was a hit and the dish is now a fixture on my antipasto list, especially as it is so quick to prepare. I’m looking forward to harvesting a few more melanzane and I’d love to try my hand at preserving some of these purple beauties. 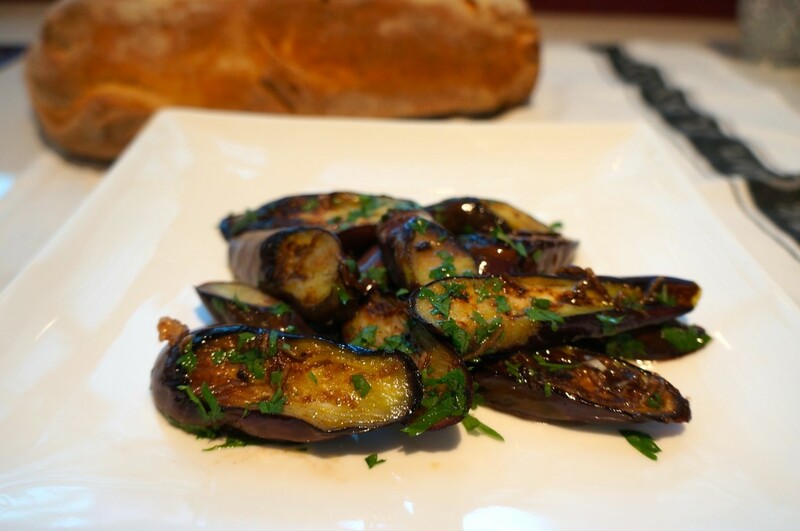 PS: If you have a favourite Italian recipe for melanzane, I’d love to hear from you!